James Baxter is a character animator from Bristol, England. He is best known for his work on many Walt Disney Animation Studios films, including various characters in Who Framed Roger Rabbit, Rafiki in The Lion King, Belle in Beauty and the Beast, and Quasimodo in The Hunchback of Notre Dame, his final film before moving on to work with DreamWorks Animation. There, he worked on such films as The Prince of Egypt, Shrek 2, and Madagascar. 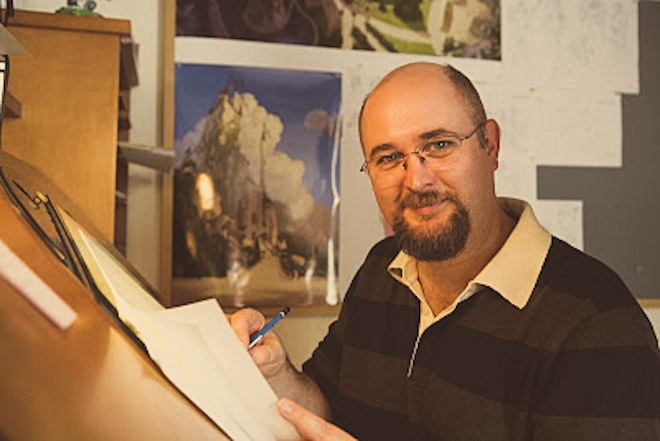 In 2005, James left DreamWorks and set up his own studio, James Baxter Animation, in Pasadena, California, where he has directed the animation for the film Enchanted and the opening credits to Kung Fu Panda, for which he has won an Annie Award. As of 2008, James has returned to DreamWorks in the role of supervising animator.